From the grand reveal of Friday’s gripping new trailer to scores of stunning screenshots surfacing online just yesterday, Trekkies have found themselves awash with Star Trek Beyond promo material. That deluge continues today, too, with Paramount unveiling a pair of striking new posters for Justin Lin’s hotly-anticipated sci-fi sequel. Picking up the torch from J.J. Abrams, the Fast and Furious stalwart drew the ire of a portion of Star Trek‘s longstanding fanbase after the reveal trailer placed action first and sci-fi exploration second. That all changed with the arrival of Beyond‘s second – and no doubt best – sizzle reel, ramping up excitement to a fever-pitch. Licking their wounds from the events of Into Darkness, Captain Kirk (Chris Pine) and the rest of the USS Enterprise are seen prepping for launch as the trailer opens, though one fateful encounter with Idris Elba’s marauding villain Krall literally tears the Enterprise apart mid-voyage, scattering our heroes across the four corners of a remote alien planet. Featuring a script from Simon Pegg and Lin himself – reworked from the original version penned by Roberto Orci – Star Trek Beyond brings together the new faces of Elba and Kingsman: The Secret Service breakout Sofia Boutella with Karl Urban, Simon Pegg, Zachary Quinto, Zoe Saldana, John Cho and Anton Yelchin. 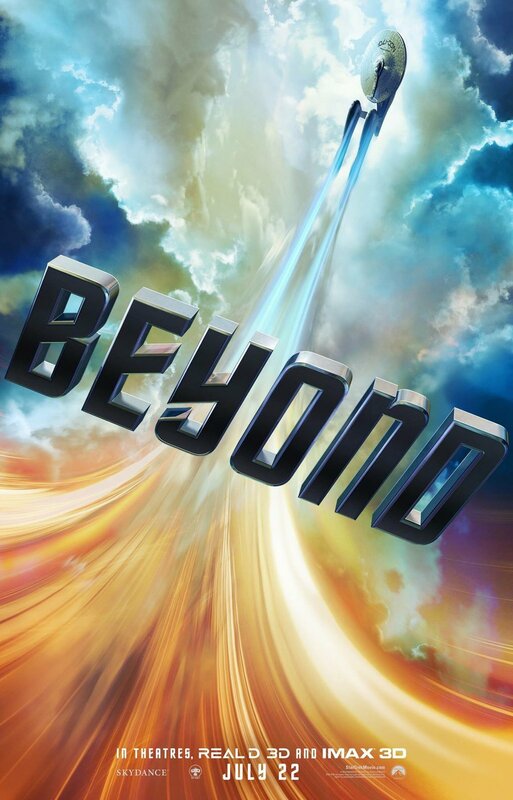 Star Trek Beyond goes boldly where no Justin Lin actioner has ever gone before when the threequel lands in theaters on July 22.